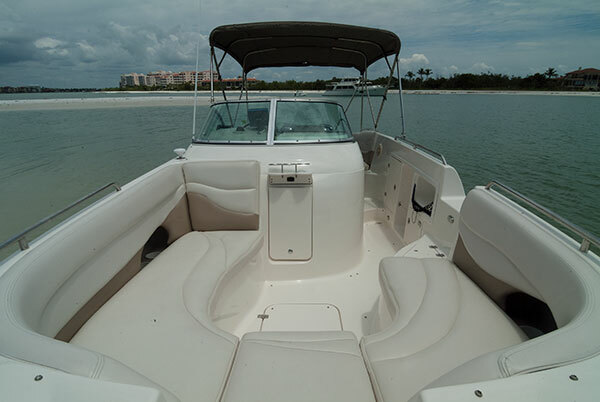 The boat we use is a Hurricane 2700. It is powered by twin Yamaha outboards. 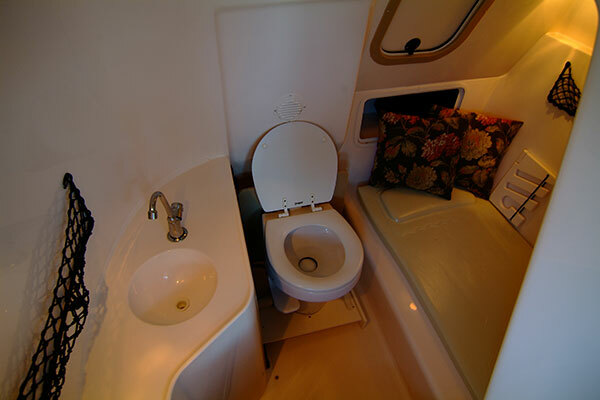 The boat comfortably seats 8 passengers and is equipped with a small toilet and sink. 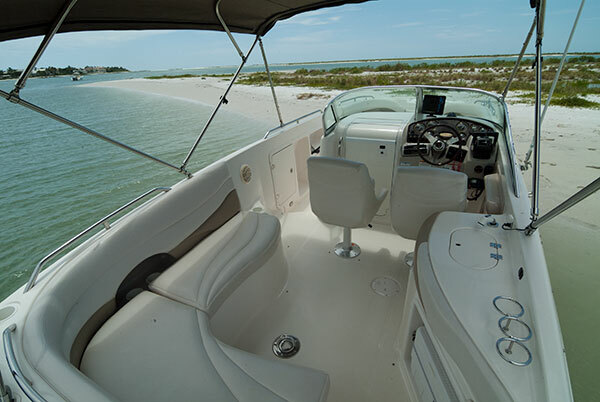 The boat has a stereo with both Ipod & Bluetooth capabilities to play your own music if you like. A cooler is on board to store drinks and food, the boat also has an overhead bimini top so you won’t get sunburnt or too wet if it rains. 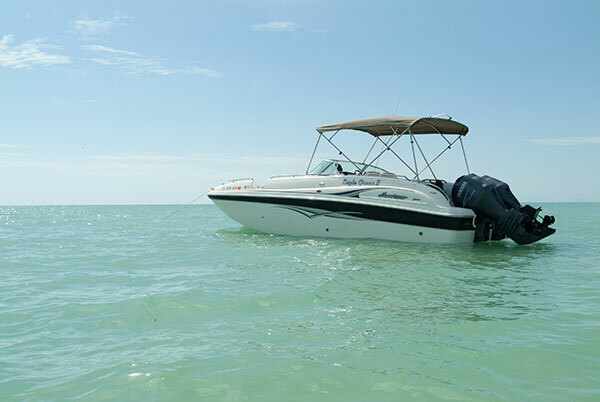 We are able to pull up at any beach around Marco Island, giving us access to places larger vessels can’t go. 2018 © Sea Shell Tours.